When someone is going to question the New Age movement, then it can be hard to send the critique to a certain address. It is often only a minority within the New Age movement, who stands behind a certain practice, and a critique of a certain practice might be irrelevant for another part of the movement. The movement is namely based on all kinds of imported spiritual traditions mixed with Western psychotherapy, coaching and management theory (see my articles The devastating New Age turn within psychotherapy and Management theory and the self-help industry). One central inspiration, though, is the ideology and syncretism of Theosophy (see my article The fascism of Theosophy). Most people, who can be characterized as New Agers and/or Self-helpers, therefore often don´t recognize themselves as such. Most often they speak about themselves as spiritual free-thinkers not belonging to any religion, movement or ideology. This is not true though. In the following I will show six common traits of New Age, that show how it distorts true spirituality, and why it must be characterized as an ideology. My main name for this ideology is The Matrix Conspiracy. This causes, that the practicians turn their minds towards the content, and not the form, as true spirituality does. It also causes that the main focus is turned towards feelings. In true spirituality the main focus is the thoughts (see for example my articles Humanistic psychology, self-help, and the danger of reducing religion to psychology, Self-help and The Mythology of Authenticity and Philosophical counseling as an alternative to psychotherapy). The psychologizing therefore also causes that critical thinking is seen as something negative, as a symptom of problems with your feelings. This turn is coming from relativistic and subjectivistic theories on Western universities, which forbid actual value judgment (notice the self-contradiction). And it has nothing to do with spirituality, and causes that the practicians close themselves to both own problems, and problems of the world. In true spirituality critical thinking is quite central, because the practice here is about discovering both own thought distortions, and thought distortions of the world (see my articles Constructivism: the postmodern intellectualism behind New Age and the self-help industry, The New feminism and the philosophy of women´s magazines, The Sokal Hoax, and my book A dictionary of thought distortions). New Age is filled with all kind of loose, self-invented and directly wrong interpretations of science. Furthermore there is a manipulative, and non-founded, tendency to call their own practices science. This also causes a lot of misguiding (see my article The pseudoscience of New Age and reductionism). The same fully individualized core of personality, which today makes us able to step out of the past´s fixed and subconscious attachment, has itself within New Age become the main interest, center for the identity in a degree, that almost all awareness here are directed inwards in a global seen exceptional narcissism. The ideological use of relativism and subjectivism sounds like this: “I have my truth, you have yours!” “You judge” is the same as “You condemn.” In true spirituality the central goal is the elimination of the Ego (see my article The ego-inflation in the New Age and self-help industry). An ideology functions with the implied assumption, that the supreme good is lying out in the future, and that the end therefore justifies the means. 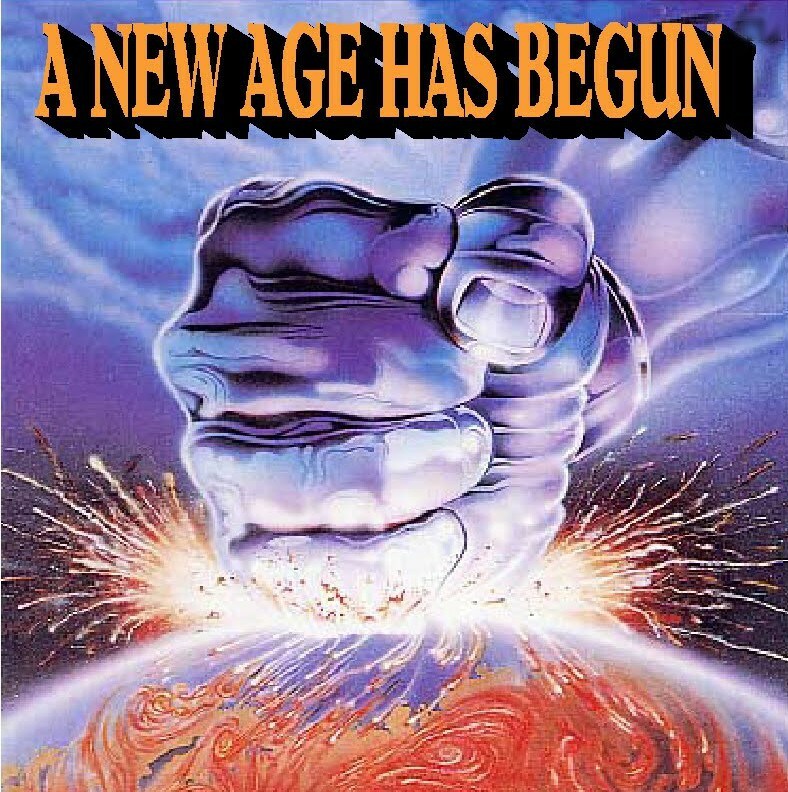 In New Age this goal is the so-called New Age; the New World Order, or the Age of the Aquarius. In the self-help industry the goal is success, personal power, money, etc. An ideology is always used from an interest in finding ways of getting on in the world, rather than an interest in finding ways of discovering the truth. Spirituality has nothing to do with ideology, but with philosophy, which is based on an interest in finding ways of discovering the truth (see my articles The difference between philosophical education and ideological education and Philosophical counseling as an alternative to psychotherapy). In my Ebook The Tragic New Age Confusion of Eastern Enlightenment and Western Idealism, you can find a deeper going analysis of the problems sketched out in this article.